Meet your dedicated Dakota Foot & Ankle Clinic team. Our Friendly staff is here to help you every step of the way. Please take a minute to learn a little more about each of us. Dakota Foot & Ankle Clinic is dedicated to providing the best podiatric care to our patients. We treat all foot and ankle problems including heel pain, ankle sprains, hammer toes, bunions and ingrown toenails. Our caring and compassionate doctor and staff take the time really listen to you, offering you the best possible treatment option(s). We are also committed to educating you so you have the knowledge to take proper care of your feet. 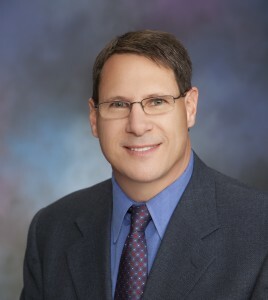 Dr. Brian Gale founded Dakota Foot and Ankle in 1993. He received his Doctor of Podiatric Medicine in 1985 from the Pennsylvania College of Podiatric Medicine, in Philadelphia. In 1989 he completed a four-year foot and ankle surgical residency at St. Joseph’s Hospital, also in Philadelphia. Dr. Gale has authored a chapter in McGlamry’s Comprehensive Textbook of Foot Surgery, 2nd ed., a leading medical text, published by Williams & Wilkins. As well as his foot care book “My Feet Hurt!” which is available for free on this website. Paul Kershaw, Business Manager I was born in Bismarck, my family moved to St Cloud, MN when I was a teenager. I graduated from Concordia College in Moorehead, MN. I enjoy hunting, fishing, golfing, camping in my spare time. I have worked for Dakota Foot & Ankle Clinic since 2013. Sami Geiger, Director of Patient & Community Relations I was born and raised in Mandan. I have a daughter who was born in May of 2013. I love snowboarding, camping, and golfing in my free time. At the clinic I workin the shoe store, Happy Soles and I also do marketing. Landi Leingang, CNA. I started working at Dakota Foot & Ankle Clinic in August of 2015. I am from Solen, ND. I enjoy working for Dr. Gale and helping him assist with patient care. Outside of work, I love being outdoors, fishing, and camping. I also do a lot of loom beading mostly during the winter months when I can't be outside as much. Coleen Clooten, Administrative Assistant. I was born in Turtle Lake and grew up on a farm near there. I received an Associate of Applied Science degree from BSC. In June 2015 I retired from the state of ND with 32+ years of service then joined the team at Dakota Foot and Ankle Clinic a year later. I love spending time with my husband, two daughters and their husbands, and all our fur babies, and helping with Mocha's Mission animal rescue which was founded by my family and friends. Erin, RN. I went into nursing because I truly enjoy meeting and helping people. I received my Bachelor degree in the Science of Nursing in 2011 from MedCenter One College of Nursing. I am a member of the ND Army National Guard which has provided me with many opportunities to travel and meet new people! When I'm not working, I love spending time with my family, playing softball, running with friends or being outside. Sheila Suess, RN After spending 18 years in the operating room, I was ready for a change of pace. I am now enjoying spending my work hours in the company of Dr. Gale and his wonderful staff who have taught me so much about feet! Outside of work I am an energetic mother to five children. We spend our time camping, fishing, biking, doing crafts and playing. I still find some quiet time to read when my family goes to bed-but I always look forward to more! Jenn, Administrative Assistant I am originally from St. Louis. I have a wonderful husband, 3 kids, 2 cats and a dog which makes me feel like I run a small zoo. I joined Dakota Foot & Ankle Clinic in December of 2017 and feel like I work with the best people. In my spare time I love hanging out with my family and cooking.